Tesco has posted a historic decline following a £1bn investment programme earlier this year designed to bolster its online channel. Tesco has posted a historic decline following a £1bn investment programme earlier this year, designed to bolster its online channel. The supermarket giant saw profits drop 10.5% to £1.6bn for its half-year result, the first time the retailer has recorded a decline in profit in nearly 20 years. In a webcast address, CEO Philip Clarke (pictured) said events in Asia and Europe had not helped the first half results. But he said the store’s investment in digital and its strategy to reduce the pace of building new stores in favour of online presence would put it in a good position for the second half of the year. “Together we are making progress to become a global retailer in multichannel retailing,” he said. Clarke said online continued to be the fastest growing channel. In its results, Tesco saw its online grocery business grow 11% compared with the same period last year. Tesco Direct has also expanded the range of products offered from 75,000 to 200,000 in the past six months, said the store. “Click & Collect continues to be the channel of choice for Tesco Direct, with the majority of customers choosing to pick their orders up from one of more than 1,300 collection points,” it added, in a statement. The results come as rival Sainsbury’s grabbed market share from Tesco, with sales rising 2%. Sainsbury's also said its online business was a key area of growth, increasing by around 20% on last year. David Gray, analyst at Planet Retail, said much of Tesco’s losses could be attributed to its £1bn investment programme. He said Tesco’s digital investment of £150m was a relatively small proportion of that, but should ensure future growth. “Online grocery is the only area of growth [for food],” he said. “A lot of the investment has gone into Click & Collect on grocery, and that is going to be one of the next big things in the UK. It is also a lot less expensive than online delivery for retailers." Profits are likely to improve in the next half as its online investments begin to pay off, he added. In a statement, Clarke said: “Investing in online will enable Tesco to take a leadership role in the digital revolution; playing our part in shaping the future of retailing." 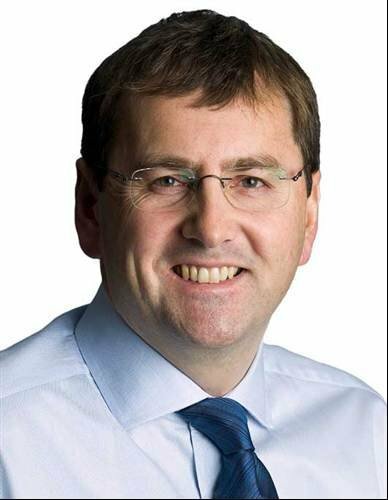 Tesco CIO, Mike McNamara, told Computer Weekly earlier this year that digital channels were now integral to the business. "I don’t think we have an online strategy, we have a retailing strategy that is increasingly digital. Online is becoming part of the core business,” he said.